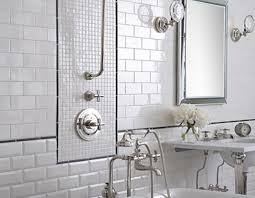 Showers have come a long way over the years, producing new trends in bathroom remodelling. As discussed above, the combination shower and bathtub is the most common type of shower in order to save space. However, stand-alone showers have become more and more popular in recent years; these are available in varieties of single doors or sectional doors. Steam showers are the newest and most luxurious units available. In steam showers you can set the temperature on a panel, have a seat, and relax while the steam surrounds you. Tubs come in all different types of shapes, sizes, and styles, but they still fit into one of three categories: drop in, free standing, and corner units. A drop in tub is fit into a three-walled enclosure, and is the one that we tend to see in most standard homes and apartments. The walls surrounding a drop-in tub are often tiled in order to accommodate a combination bathtub and shower. Drop in tubs have the least expensive base price. Free standing tubs are typically a bit more expensive, but add an antique-like elegance to your home. It is important to be extra careful with free standing tubs, because the plumbing is exposed, making accidental damage and usual wear and tear more likely to occur. Corner tubs are 5-sided and have the capacity to seat 2-3 people. Many people enjoy the luxury of a large corner tub, even though they do use more water and take a longer time to fill. Can go over the various pros and cons of each unit, and help you to decide which one will fit best with your personal tastes and budget. We also offer a list of repair services in the event of any problems.